We started off with a tribute to those moments that give you butterflies, with Ella Fitzgerald’s With A little Song in My Heart and it wasn’t long before we had to agree with Mario Lanza that it was indeed The Loveliest Night Of The Year (well, lunchtime). 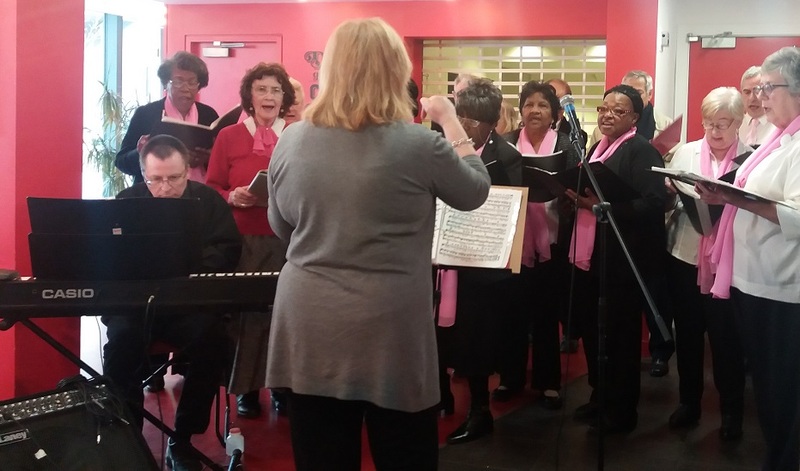 Our voices warmed up nicely and with the support of the Age Well Singers, together we took on classic love songs from Bing Crosby, Sinatra and Dusty to name but a few. 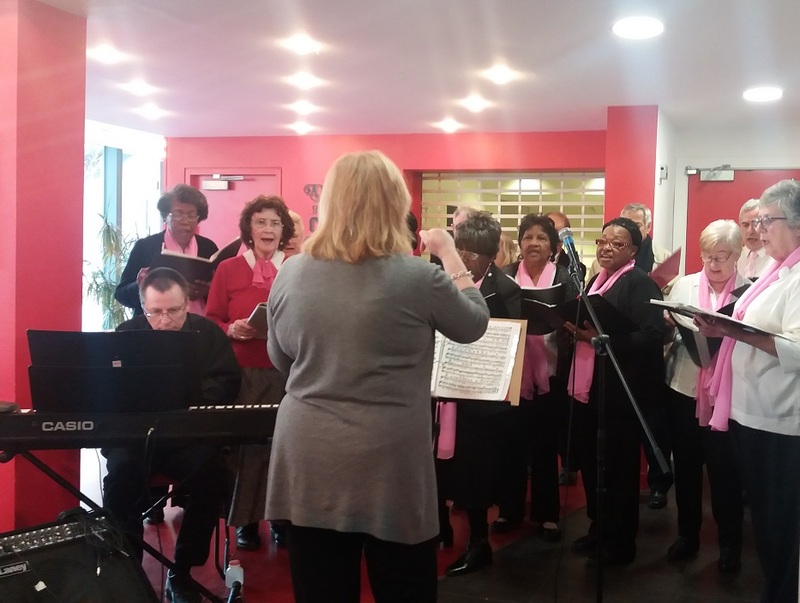 For the second half we had the pleasure of listening to the Newham Super Choir’s beautiful harmonies for several songs before once again joining in for a rooftop-raising rendition of That’s Amore! I think it is fair to say that on the final AMORE we could all safely claim to have officially sung our hearts out! It is rare that most of us get a chance to sing as a big group, but when we do, the impact is genuinely tremendous. And this isn’t just because a group of relative strangers are singing ‘…ever since we met you had a hold on me…’ (although this surely helps! ), it’s also about that ‘feel good feeling.’ That sensation is thanks to your body releasing oxytocin which enhances feelings of trust and bonding, which in turn contributes to overall wellbeing – no wonder we can’t wait for the next sing-along!